Can my smaller campus afford a campus card systems? ‘Golden Age’ for iris recognition? Biometrics on campus: Convenience, security or both? Will the vastly-hyped tech solve the digital identity challenge? Will GSA’s new approval process push PIV-I in the enterprise? Pentagon getting rid of Common Access Card? Can attendance yield more engaged students? As driver licenses, passports and bank cards enable the virtual, is secure identity within reach? What’s the contactless frequency, Kenneth? The challenges of airport entry and exit in the U.S.
Wearable ID: Is it a fit for your campus? Did the Feds create the framework for digital ID? Could states crack the digital ID dilemma? How far is too far for the university ID? Apple Watch as an identity token? Will only disaster bring change? Should prox replace passwords in Health care? Should a tiger change its stripe? Identity and Access Management: What’s in store for 2014? Who is responsible for financial literacy? Higher One in the cross hairs? Santander brings international experience to U.S.
On-campus, hosted or in the cloud? How does aging effect biometrics? Has the time for multi-application smart cards finally come? Where is PKI at the door? Details on National Strategy for Trusted Identities in Cyberspace pilots. Can passphrases strengthen the embattled password? Tech 101: What is SAML? Is FIPS 201-2 future proof? Technology | Contactless failure on campus? 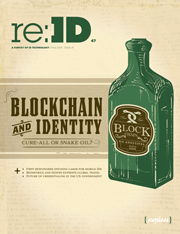 Cover Story | What is an identity ecosystem? PIV-I | What does DC’s move away from PIV-I mean? EMV | MasterCard, Visa reveal details on EMV and NFC for U.S.
NFC | Is Google Wallet secure enough? Expert Panel | Colin Soutar, CSC: What’s in a credential? Contactless: Can colleges be first in class? 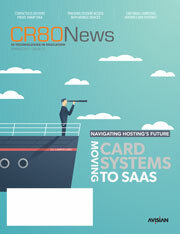 Smart Cards | What happened to the smart card OS battle? Digital ID | Can strong credentials prevent hacks? Cover Story | Will PIV-I be the identity standard of the future? Or is it already? Case Study | SAFE-BioPharma: An NSTIC model? Health ID | Can smart cards curb $370 billion in fraud? Biometrics | Can Web services revolutionize biometrics? Online Security | Secure browsers pave the way to secure ID? Mythbusters | Can a mobile phone erase a hotel key card? Payments | NFC and EMV: Live together in perfect harmony? Opinion | Where oh where is my mobile ID? NFC | NFC on the cusp in U.S.? Payments | Contactless pickpocketing: Truth or fiction? Biometrics | Facial recognition finally living up to the hype? Biometrics | What’s behind the biometric template? Payments | Why all the fuss over a PIN-debit fee? 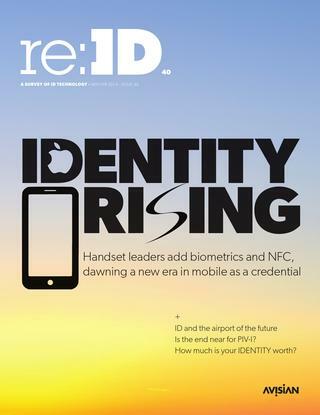 NFC | Banks, carriers roll out two new NFC pilots in U.S.
FIPS 201 | So you want to issue PIV-I cards? Payments | Walmart bringing EMV to the U.S.A.? Opinion | Is the end nigh for the card form factor? Biometrics | Analysis: What biometric will be on the card? Cover Story | Is cryptography the future of physical access control? Initiatives | 2010: When ideas become reality? Innovation | Will your next card include a display, a battery, a button? Opinion | Will the U.S. have a national ID? Cover Story | National ID cards: Changing perspectives? On Campus | Is the future of campus cards contactless? Government | Advisory Committee: “Comprehensive ID management” needed in U.S. Registered Traveler | Does CLEAR’s demise signal the end of Registered Traveler? 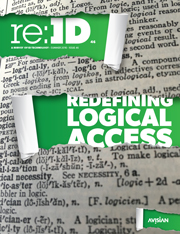 EDLs | How do EDLs fit in with new PASS ID bill? Opinion| FIPS 201 and India National ID, interoperability anyone? Feature | Is the future of campus cards contactless? 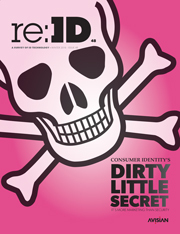 Cover Story | ID and security hackers: Do they help or hurt the industry? Innovation | The eyes have it: Has the time for iris biometrics come? Payments | EMV takes aim at U.S.
Tech | Stickers: The intermediate step to handset-based mobile payments? Payments | Contactless payments: What’s next? Biometrics | Mapping out the future of biometrics in the U.S.
Health Care | Biometrics catching in health care? Campus ID | iPhones invade college campuses, but will they replace the student ID? Opinion | Can airports wait to deploy secure, biometric credentials? Cover Story | Airport credentials: Grounded or ready for take off? Politics | The first digital President: A plus for ID? Investigation | Hackers on campus: Who’s doing it and what is being done to prevent it? Issues | Are e-passports vulnerable to forgery? Politics | Will a new president scale back existing ID projects or add new ones? Compliance | The rules on exporting biometrics outside the U.S.
Privacy | Are campus ID programs gambling with student privacy? Physical Security | Hotel locks on steroids? Students | University banking partnerships: What’s in it for the students? Opinion | Do people hate high-tech ID technology? Technology | Security programs push forward with biometrics? Payments | NFC in London: Will consumers use it? Telecom | Tracking the SIM Card: Where in the world is GSM? Digital ID | Can digital identity curb the spam assault on your inbox? Opinion | Cell phones enable emergency notification, payment … but will they replace the ID card? 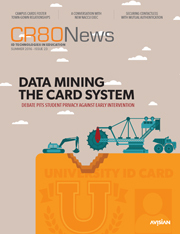 Tips | Should your campus card program be using the 16-digit ISO numbering scheme? Innovation | Near field communications is the talk of the ID world but what will it take to turn the talk to action? RFID | Is RFID in the Operating Room a “Spongeworthy” idea? Banking | As Canada’s payment cards go to EMV, will fraud migration push U.S. banks to join the smart card? 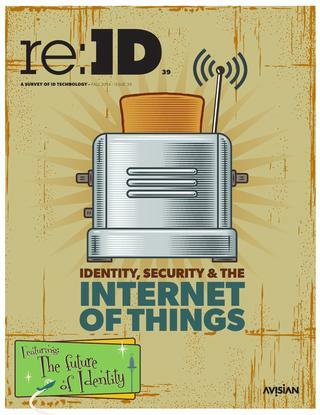 Technology | Is RuBee the next generation of RFID? Issues | With every U.S. government agency issuing a standardized FIPS 201 ID, will your campus card be next? Off-Campus | Can adding off campus payment to the ID card actually grow on campus spending? Travel Documents | ePassport issuance cranks up in U.S. The October 27 deadline for agencies to begin issuing the new, interoperable identification credentials is rapidly drawing near. Tremendous progress has been made, yet many insiders remain pessimistic … fearing that many agencies simply cannot meet the HSPD-12 established timeline. Security | Electromagnetic sleeves protect contactless IDs, but is the eavesdropping threat real? Plastics | Corn Cards offer a greener alternative, but is the industry ready for plastic from the farm? Barcodes | 2-D barcodes: Broader and better … but should you bother? Traveler’s ID | Privatizing Registered Traveler: Is it a CLEAR Way to Go? Opinion | The reader infrastructure dilema? 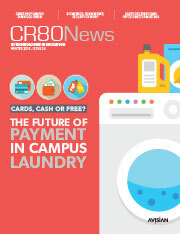 Payments | American Express makes Blue contactless, launches nationwide in U.S.
Credit Cards | Is the ‘thorny’ issue of credit cards and campus ID programs resurfacing? ID Numbering | Should your ID program use the 16-digit ISO numbering scheme?